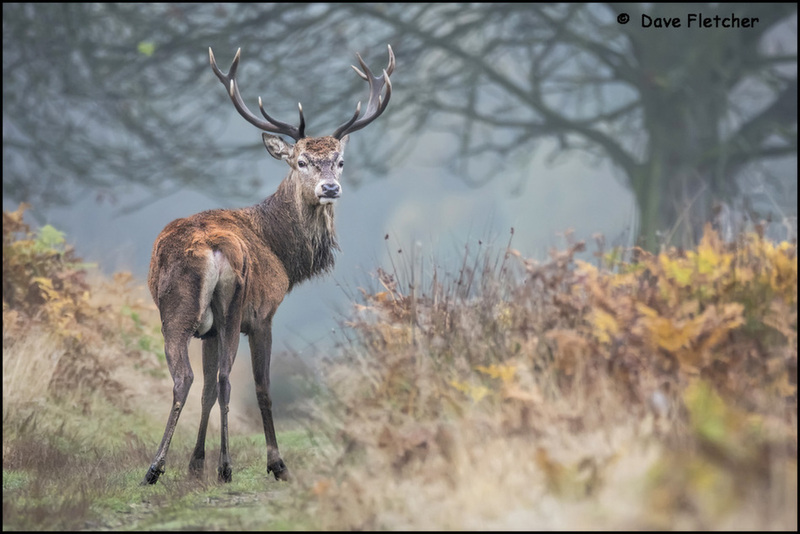 What a handsome stag, Dave. The look back pose and the rack are awesome. And I love the composition and the natural habitat. A first-rate wildlife photograph. Wishing you the best in 2019. Happy New Year. Beautiful composition and magnificent pose, with disdainful look by big Red! Love it. Very Well Done. Wishing you and family a Happy New Year and all the very best of 2019. Super look back pose framed wonderfully by the surrounding environment! What a gorgeous stag- love the look back and setting. Even the branches reflect the antlers of the buck -an excellent way to say good-bye to 2018. I hope you have a Happy New Year and that things will indeed be better. Always enjoy your work here on NSN. Loving the look back pose and contrasting FG/BG colours here Dave. The deer is floating... Your dreamy photos and your work has always been inspirational ! I wish you a very happy and healthy new year 2019 ! Yay !! IOW (Editor's pick !) for both of us, just like old times, Dave ! Congrats !! All, just want to say a quick thanks for stopping by and sharing your thoughts and wishes. Wow, I don't come to wildlife section very often and I am glad I did to see this. This is good as it gets. THe colors, framing, BG, back looking pose. This should be printed LARGE 20x30 inch metal print would be awesome. Superb job David!